You must be a member of the Mexico City Squash Group to attend this activity. Would you like to join this group? Lets experience this high fitness sport while having fun. 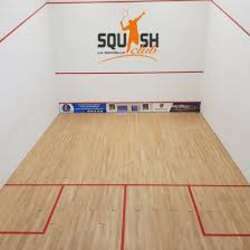 All levels of players are welcome, including people that have never played squash before. I will bring an extra racquet in case anybody needs one. We will divide the cost of the court between all players. Cost per court per hour is $300 pesos. Please arrive 10 mins earlier so we can be at court sharp at 8:00 pm.